◼ QUIZ QUESTION OF THE WEEK: Which of these statements came first? 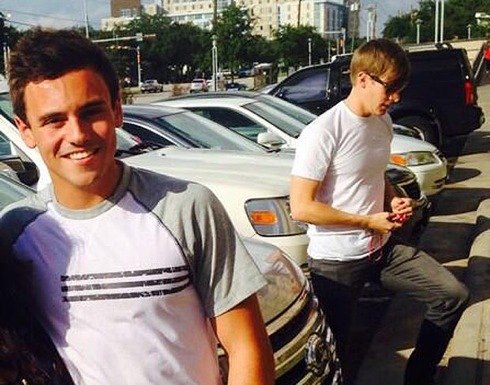 ❏ On Monday morning at 11 o’clock Britain’s 19-year-old Olympics diver Tom Daley posted his confessional video on YouTube telling the world he was “dating a guy”. The global media coverage has been massive and the video has clocked 6 million views in two days. In it he said: “In an ideal world I wouldn’t be doing this video because it shouldn’t matter. But recently I was misquoted in an interview and it made me feel really angry… Now I feel ready to talk about my relationships.” Throughout the brave five-minute video message, recorded on his own phone, he was understandably nervous, and by the end seemed palpably relieved. The interview that had angered him appeared in the Daily Mirror on September 8 when he was quoted denying the suggestion that he was gay. At about 2am this Sunday, Dec 1, after the Sunday papers have gone to press, Tom Daley visits the gay club Zeros in his Devon hometown with some friends and is photographed at the club with a shot girl, also described as a “drag artist”. That morning the photograph is published by Zeros nightclub on its Facebook page with the message: “Let’s hope Tom Daley survived meeting our very own J******* last night !! !” (The shot girl later complained about her picture being published and her name was removed). At 1pm Sunday the first of several Facebookers shares this picture. At 3pm Sunday Daley tweets “So lucky to have such a supportive mum! I love you!” and – out of the blue – he posts a smashing picture of himself with Debbie Daley at Instagram. Then at about 5pm Sunday Daley makes a special visit to his grandparents nearby in Devon to break his news to them, which they tell the Daily Mail the next day also came “out of the blue”. Early on Monday morning he tells the rest of his family. “I can count the number of people I’ve told on my hand,” he says. At 11am Monday, Daley goes public with his outing video on YouTube. It is immediately reported by BBC News and the rest of the media and Daley is soon trending on Twitter. At 7pm Monday The Sun, Britain’s biggest selling tabloid newspaper, is going to press with its detailed “exclusive” report for Tuesday’s issue revealing the name of the “Pop hunk pal who helped dive star come out”. The new news here claims that Daley was inspired to do so after “developing a close friendship with gay former S Club Juniors idol Aaron Renfree”. Mike Spencer, the gay TV producer of the Only Way is Essex, is reported to be another of Daley’s “close friends”. And a Zeros barman reports that while in the nightclub Tom was “not surprisingly being quite flirty”. In this cloud of gay innuendo, nowhere does The Sun cite Daley as a source of information. It would have taken some very nifty footwork to pull that lot together had the Sun’s exclusive research been a same-day response to the video as breaking news! As it is, the so-called exclusive is swamped by coverage in every other newspaper following up Monday’s outing video. Eight weeks had passed since the Mirror interview angered Tom. Yet suddenly within a single day this weekend our hero decided that he not only felt ready to share his secret with the world, but first had to share it at high speed with his mother, his grandparents, his extended family. Then record and upload. All with immaculate timing. Here was a man with a plan – though it’s hard not to believe pressure was being brought to bear on the teenage sports star to spill the beans. The Sun generously placed an editorial beside its exclusive report hailing Tom for his guts as the “diver who broke the news”. ❏ Wed Dec 4 update: The Sun follows through with a massive second chapter in the Daley outing saga by front-paging the name of Tom’s purported lover “who is almost 20 years his senior”, complete with pictures and quotes from “friends”. These are all the hallmarks of a well-prepared major investigation to steamroller a celeb into making a “He’s so brave” confession in advance of publication. What choice did our hero have at the weekend? What better strategy could his management have endorsed but to out himself first and wrong-foot The Sun?! ❏ Thur Dec 5 update: BRILLIANT! The clockwork spins and the teen star sings – on TV, not in The Sun – confirming suspicions that a very sure-footed strategy to “protect the brand” has been executed by Team Daley. The Olympic Bronze medallist diver is said to be worth £2m and is tipped to double that sum through sponsorship deals in the near future. At 19 Tom faces many more years of earning potential which PSG, his Weybridge-based management company, is committed to capitalising on, not putting at risk. The complete absence of further Sun exclusives today, plus the choice of an interview with the A-List Jonathan Ross Show where again Tom speaks for himself without misrepresentation, indicate astute Team intelligence at work. To cap it all, last night they leaked contents of the Ross interview exclusively to the Daily Mirror just as it was going to press. The Team knew the TV cook Nigella Lawson was going into the witness-box mid-week to account for her troubled marriage and would commandeer all newspaper front pages. They knew Daley was booked in soon for Ross’s TV chatshow and got him bumped up the queue onto this week’s recording as a special guest. They have been nudged in recent weeks by The Sun to respond to rumours circulating about the boyfriend’s identity. 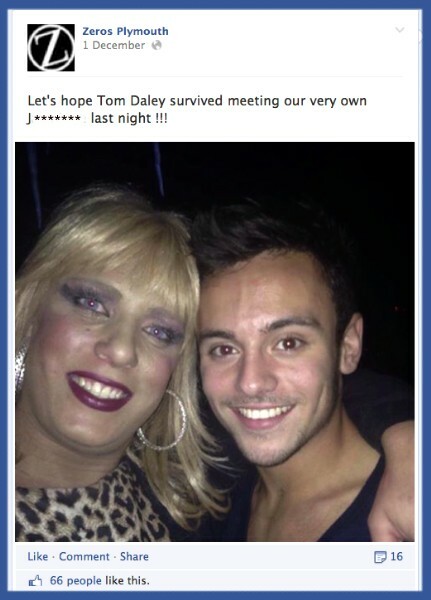 So in hindsight the Saturday night visit to a Plymouth gay club – accidentally on purpose lifting the lid on Tom’s private life – can be seen as the Brand Daley start-line for a three-day masterplan. He outs himself on Monday morning and comes out of it a smiling hero, while all The Sun could do in the wake of his statement is to package its unconfirmed rumours for Tuesday’s paper with papped pictures and quotes from unnamed “friends”. Ross’s show wins the trusted follow-up interview because on TV Tom can speak for himself. Inevitably, its content cannot remain secret until the Saturday transmission at 10.45pm on ITV so, as The Sun’s rival tabloid, Wednesday’s Mirror is exclusively gifted advance text of Tom’s Tigger-like romantic revelations on TV, leaving all other papers to rehash them the next day. Yet a mystery remains. Most curious of all is that in both the UK and the USA neither Tom nor his supposed lover Lance Black have confirmed themselves as partners. Throughout the Ross interview Tom talks emotionally about his new lease of life yet does not mention Lance by name, while going into intimate detail of how he, Tom, made the first flirtatious move. At his home off Sunset Boulevard, Lance unceremoniously rebuffs a Mail reporter. Why are both men staying schtum on this score when Tom is so out and proud? The LA gay grapevine is convinced the pair are lovers, so might there be personal reasons? Rumour suggests that 39-year-old gay activist Lance Black (nobody calls him Dustin in LA) was in a long-term romance with his heart set on marriage when bushy-tailed Tom bounded into his circle. Tom might well have worked powerful magic and who can guess at the repercussions? Let’s assume the Brand Daley team will sensibly have reserved still more fire power, to be released under its own terms when the next chapter unfolds. ❏ FINALLY! Tom and Lance are officially papped together to mark the first time that the guys have stepped out as a couple at a public event. Here below we see them on April 30, 2014, attending the Battersea Power Station Annual Party. A few days later they announce they are setting up home together in London. Congratulations, boys. ❚ HOW EXCITING THAT HARRY EVANS can still recount his rows with Rupert Murdoch in 1982 were as if they were “the day before yesterday”. The legendary former editor of The Sunday Times yesterday regaled the Leveson inquiry into British press standards via a video link from New York where he lives. He described one row almost ending in “fisticuffs”. 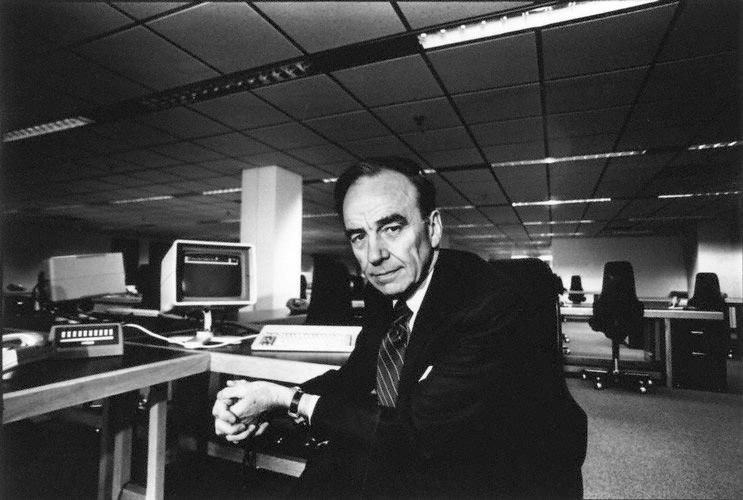 Murdoch had transferred Evans from The Sunday Times to its daily stablemate, The Times, once he had purchased the UK’s two most important newspapers in 1981. Evans told the inquiry there followed a year of constant editorial interference from Murdoch. Under the headline “Harold Evans tells Leveson of conflict and ‘vindictive’ atmosphere at Times”, today’s Guardian was impressed, 30 years later, that the ex-editor seemed to be “replaying the events as if they had occurred the day before yesterday”. Today’s digerati will seldom experience the adrenaline rush produced by such instinctive cut and thrust.† It was survival of the fittest on a daily basis which was the lifeblood of old Fleet Street — or Print as we used to call it. 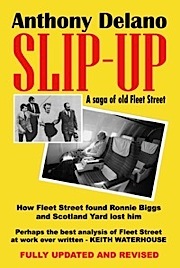 Verdict of playwright and columnist Keith Waterhouse: “Perhaps the best analysis of Fleet Street at work ever written.” Every word is true (allegedly) in this preposterous page-turner, starring Fleet Street’s finest, Scotland Yard’s finest, and the Great Train Robber. The sheer guile, grit and ratlike cunning displayed by newsroom hacks from the 14 rival national newspapers is breath-taking as they try to second-guess each other during the manhunt for Ronnie Biggs, the most infamous of the villains who had pulled off what was then the greatest robbery of all time. During his 30-year sentence he escaped from jail. Years later, in 1974, the Daily Express discovered the fugitive in Brazil. This was the scoop of the century and the 4million-selling Express endeavoured to keep the scoop secret from everybody except Detective Chief Superintendent Jack Slipper, head of the legendary Flying Squad. He was invited to join the hacks in Rio to deliver his best line: “Hello Ronnie. Long time no see.” Then a bombshell exploded. The secrecy of the mission meant nobody had applied for Biggs’s extradition. 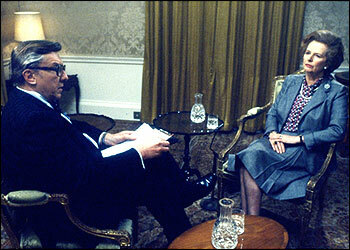 Fact was: Brazil had no extradition treaty with Britain. 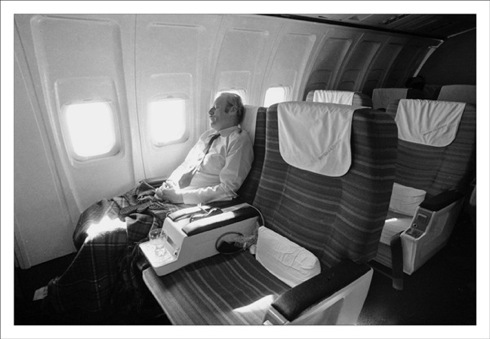 Slipper’s humiliation was crowned by the picture stealthily snatched by Mike Brennan of the Daily Mail showing him flying back home asleep beside the empty seat that should have held Biggs. Still, the exclusive Express story had already scooped the world. 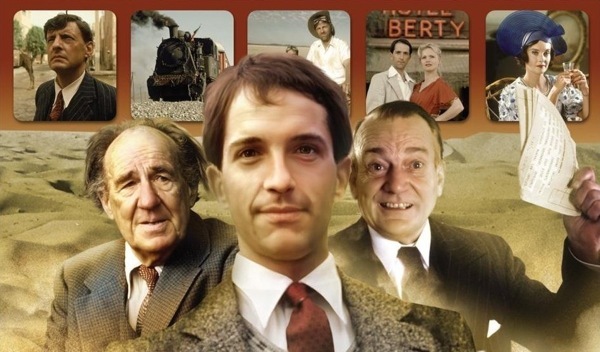 And Delano’s book became a £1m BBC TV drama in 1988. ➢ The story behind the story of Slip-Up — In a 2008 update, Anthony Delano spilled more beans, as did Keith Waterhouse who scripted the TV version titled The Great Paper Chase. 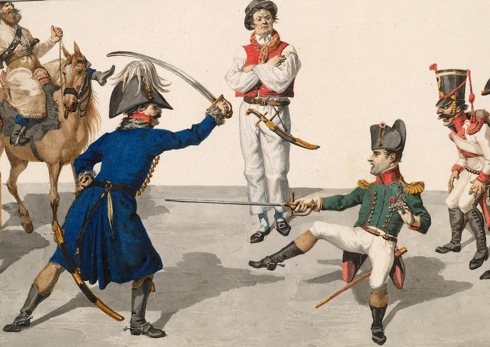 ➢ Napoleonic Flame War by Richard Marsden — During the late 18th and early 19th century the definition of a proper sword varied from nation to nation. Initially, nations sought to choose the “best” sword for their light and heavy cavalry units so that on the battlefield they would be more effective. Tests and studies were done, data collected and proposals put forth. Somewhere along the line, however, the matter of the cutting sword or thrusting sword became more than one of facts and figures — it became one of national pride. 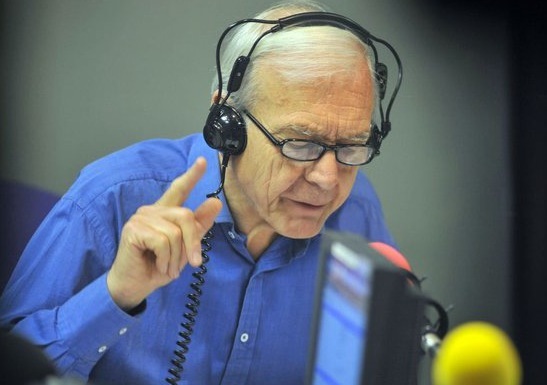 “I WAS WORKING FOR THE SUNDAY TIMES IN 1981, and there was a rumour that Rupert Murdoch was buying the paper, along with The Times. 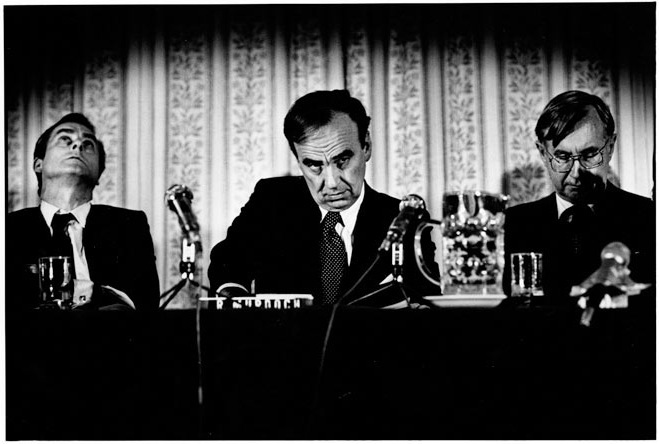 I was sent to a packed press conference given by Murdoch and the two editors. When the purchase was announced, I knew it was the end of The Sunday Times. My newspaper was going down the tubes. I had tears pouring down my face as I worked. ❚ THE ROMANCE OF THE BRITISH PRESS has always derived from its being simultaneously glorious and wretched, from its earliest days when kings would jail upstart editors to the decade of continual strife throughout British industry, the 1970s. So powerful were the trade unions that, as former Times editor Simon Jenkins wrote in his 1979 book Newspapers, The Power and the Money: “Action taken… has brought one paper after another to the brink of financial ruin.” Mind you, rich proprietors also made pretty ineffectual managers. 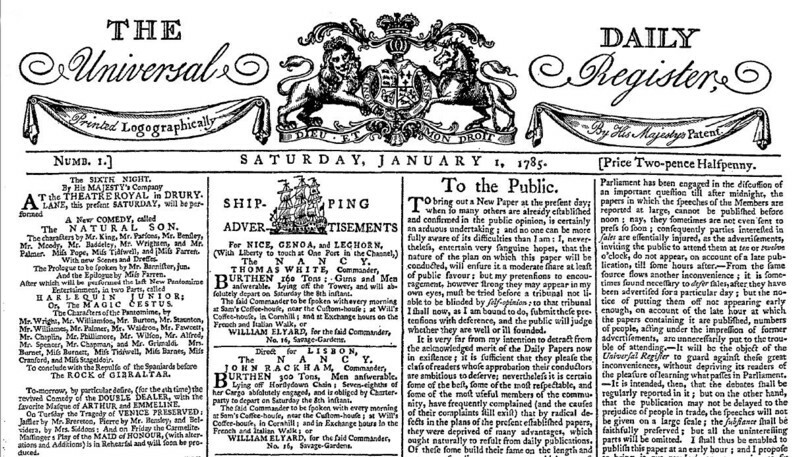 One of the more enlightened was the Canadian Roy Thomson, who flexed his muscle by shutting down for a whole year both of the world-renowned newspapers he owned and published in London — The Times (founded 1785, and 200 years later broadening its appeal from its historic role as the “Top People’s paper”) and The Sunday Times (founded 1821, which under Harry Evans had set benchmarks with its hugely influential investigative journalism). In 1980 the papers ran up a £15m loss (equivalent to £50m today) and by then Thomson had reached the end of his tether, so put them up for sale. Those were the days when ten nationally distributed daily newspapers and nine Sundays averaged 13m paid-for sales every day of the week (serving a UK population of 56m). Seven millionaire contenders sprang into the marketplace to bid for the two Timeses, yet Harry Evans thought none was worthy to own the world’s most prestigious titles. His book Good Times Bad Times is the rippingmost yarn about real newspaper life — “Who were these seven dwarves, I asked a staff meeting, to seek the hand of Snow White?” It was the Australian wot won it. 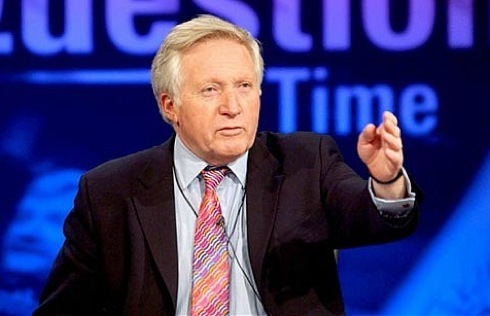 The deal led to 563 redundancies.